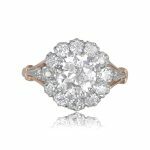 A beautiful and very rare Art Deco Era engagement ring, featuring a double halo of old mine cut diamonds that frame a lively antique cushion cut diamond. 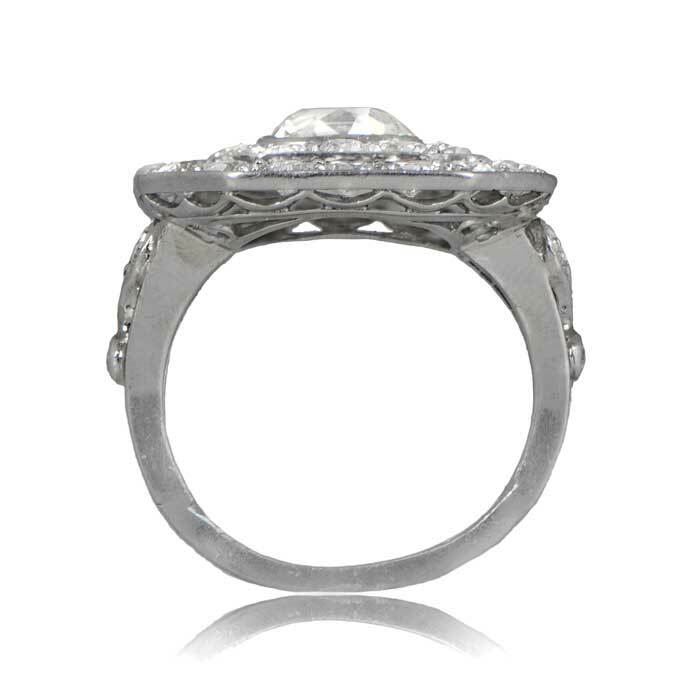 The shoulders are accented by diamond studded openwork filigree. 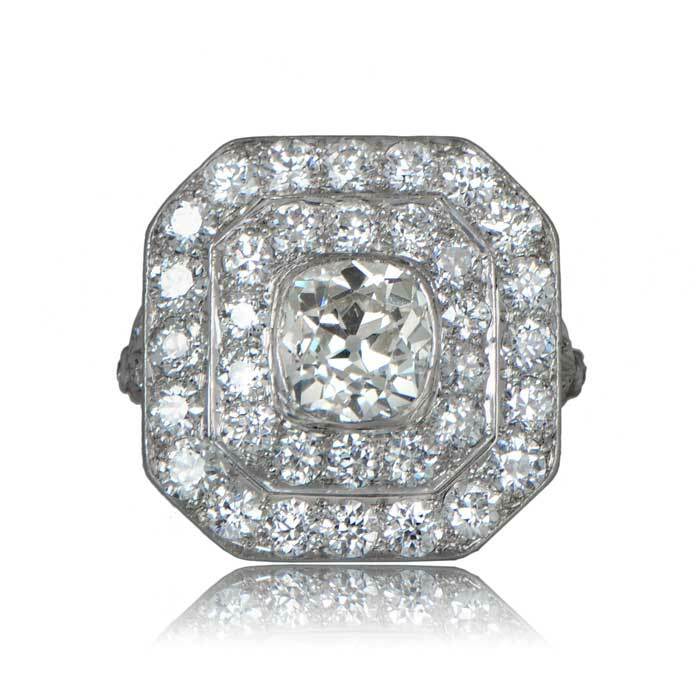 The center diamond is an antique cushion cut diamond weighing approximately 1.98 carats, I color and VS1 clarity. 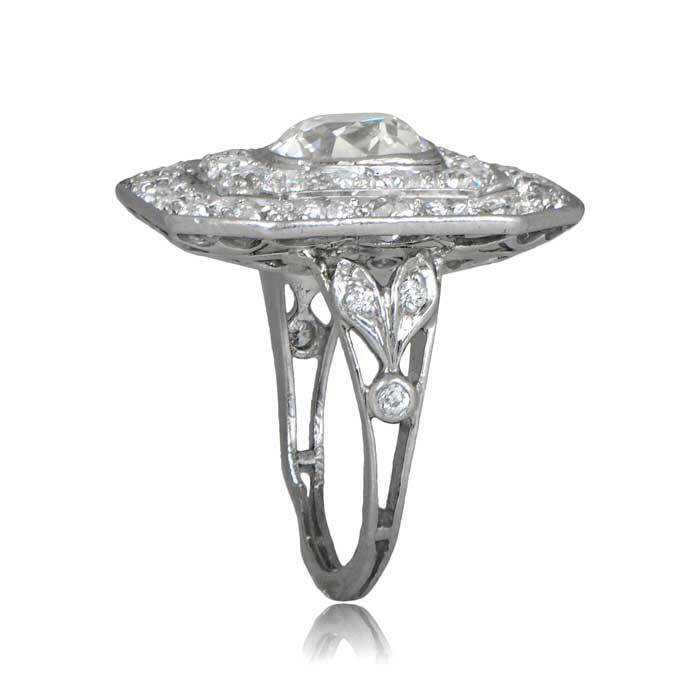 This ring is from the Art Deco Era, circa 1920. 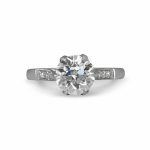 SKU: 11649 Categories: Cushion Cut Engagement Rings, Vintage Engagement Rings - Contact us and request additional pictures.